In the past few years, Red Bull Racingâ€˜s Formula One team has made a habit of showcasing their F1 cars on city streets from New Delhi to Hong Kong and more. This time around the Red Bull team made a visit to the streets of New York for a chance to rip around the usually traffic-laden streets. With David Coulthard behind the wheels, the teamâ€™s RB7 race car was put through its paces including an adrenaline pumping 190 mph run through the Lincoln Tunnel. 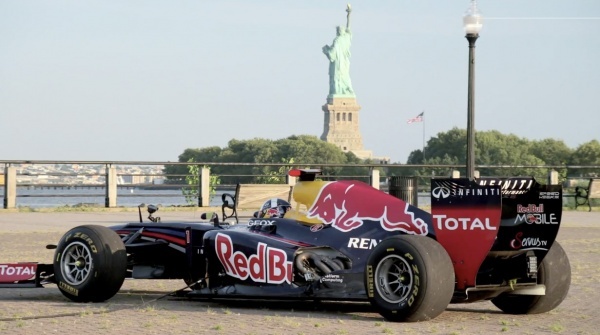 Part of Red Bullâ€™s second American Vacation tour, the run through New York served as a promo for the proposed 2013 Grand Prix of America.